April Cozy Reader Club Subscription Reveal - Frugal Mom Eh! The Cozy Reader Club box is a brand new monthly book subscription box that sends you everything you need for some quality “me” time. Each box includes a recently released women’s fiction novel, artisanal coffee, tea (or hot chocolate), handmade items and gourmet treats. Sounds relaxing, doesn’t it? 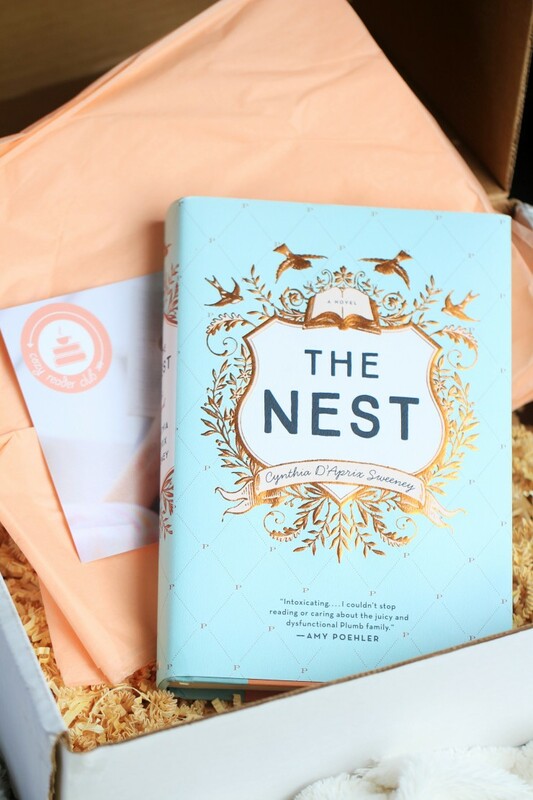 Each box is carefully curated to give you a uniquely cozy reading experience delivered right to your door! It gives you the opportunity to read a new book without having to search for yourself as well as the chance to become acquainted with high quality artisan products. Plus, since only recently released books are included you do not need to worry about getting a double. 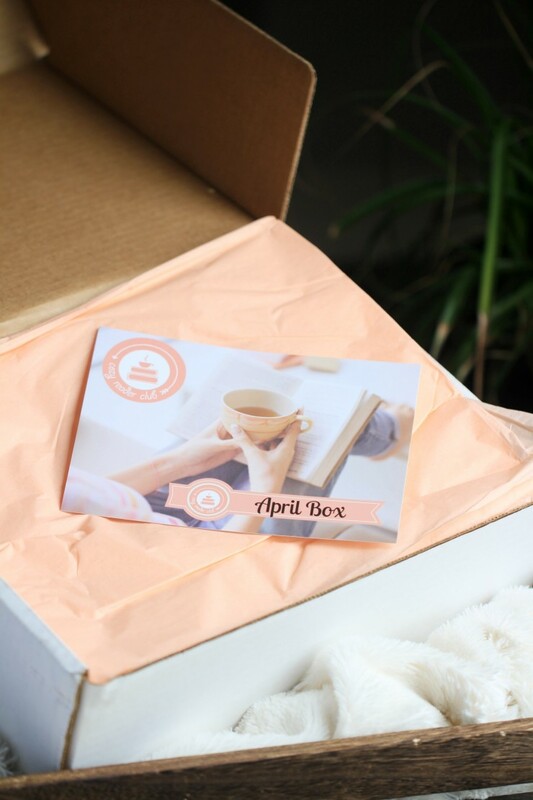 The Cozy Reader Club March Subscription box is the second box in this new subscription club. Check out the first Cozy Reader Club box which went out in February, and the second box which went out in March. So let’s take a look at what is in the April Box! This one was on my wish-list already and I almost grabbed it in Chapters the other day but something told me not to. (Thank goodness!) I can’t wait to start it! 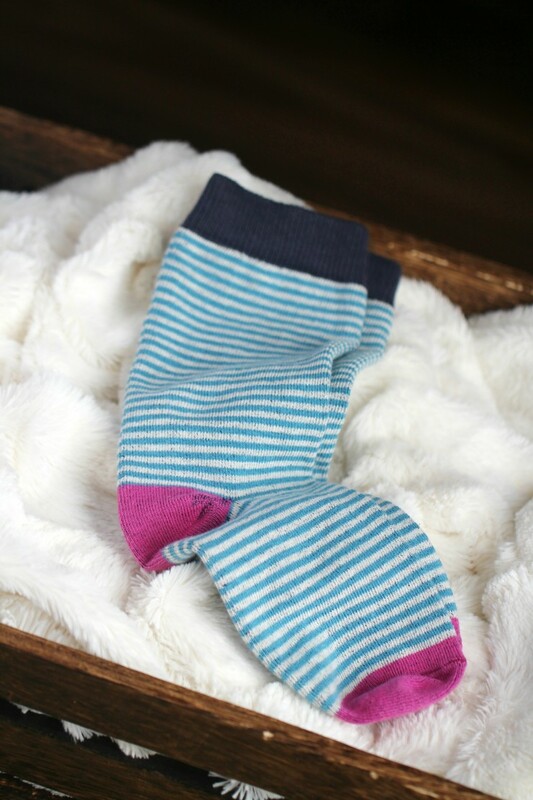 I love getting new socks and these ones are super comfy – they are knitted in Fort Payne, Alabama in small batches with certified organic cotton and low impact dyes. I’m a coffee and tea drinker, tea is my beverage of choice in the afternoon and this tea is a perfect choice for cozy reading time! 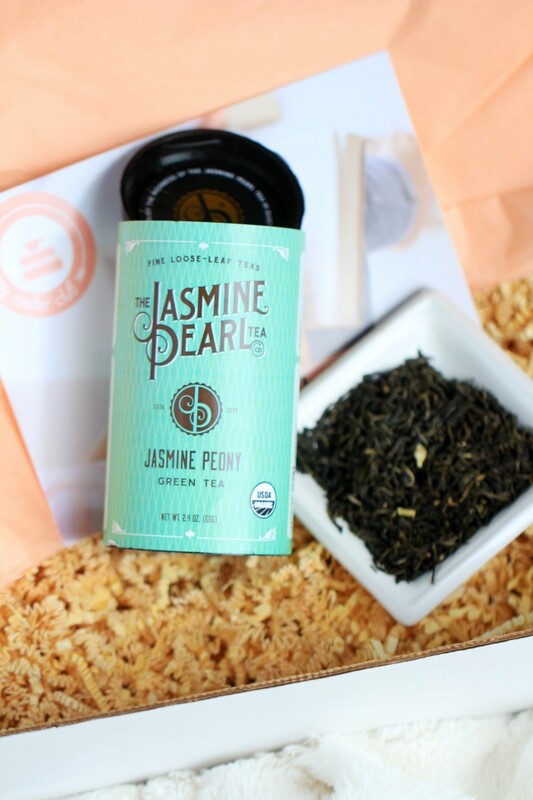 Hand-picked green tea, carefully blended with intensely fragrant night-blooming jasmine flowers, which are allowed to open and infuse the dry tea with their sweet aroma. The blossoms are removed in the morning, and the process is repeated until the tea reaches the desired level of jasmine flavour. What attention to detail! 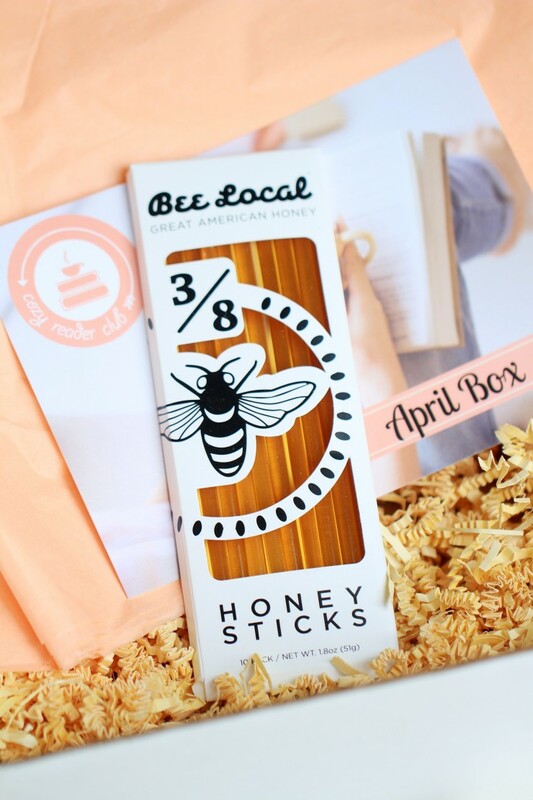 Honey pairs so well with tea, and Bee Local honey sticks are filled with single origin American honey that is raw and unfiltered. The flavour is unique and great tasting plus they are perfect for stirring into a cup of tea! Seriously? 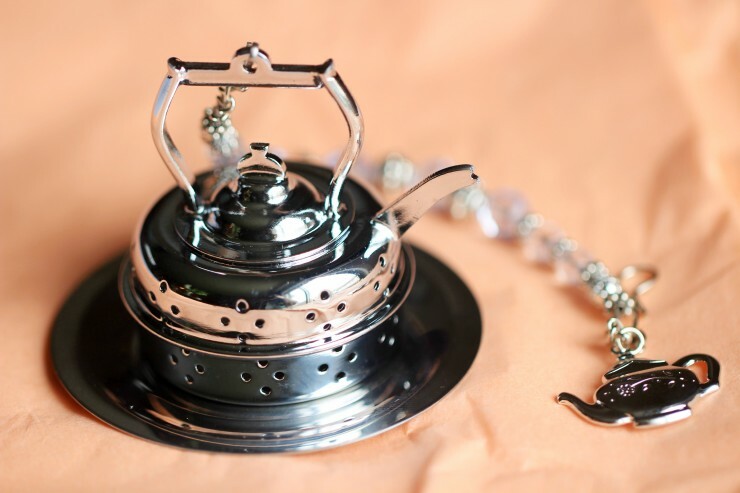 This is the cutest tea infuser ever! From Etsy shop AlmostNecessities, it is hand beaded with silver metal and light blue glass beads and a super cute teapot charm. This is now one of my favourite among my collection of tea accessories. These delicious, melt-in-your-mouth, made from scratch cookies are my ideal treat for relaxing with a book and a hot cup of tea. 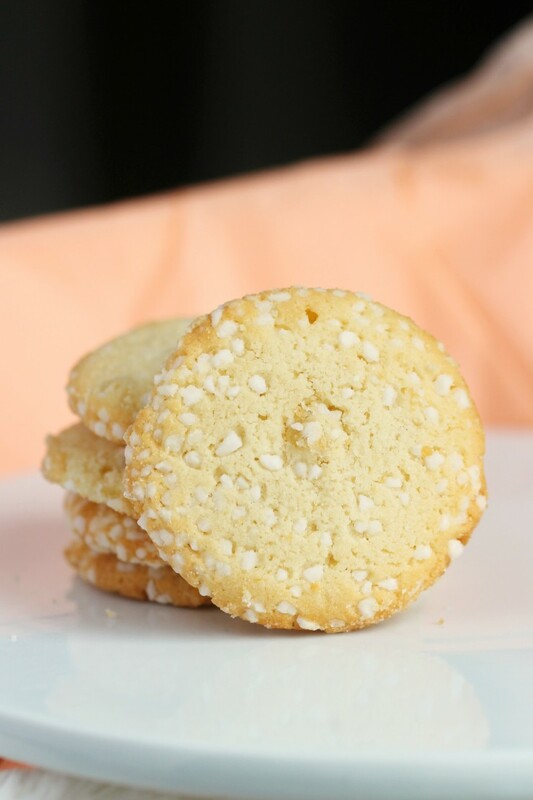 They are made with all natural ingredients and are hand-topped with pearlized sugar and baked with candied lemon zest. I couldn’t believe how fresh and soft they were out of the package! I definitely did not share. The value of the box is about $78.97 USD which is pretty great value for the cost of the subscription ($64.95). Yes. It may seem expensive, especially for Canadians with the exchange and the added cost of shipping (which is free for American addresses). While the higher cost might be a barrier for some, I do think it’s still great value for a special treat, especially for those, like me, who enjoy discovering new authors and unique, artisan products. The Cost: $64.95 a month or $180 with a 3-month commitment. Use coupon code SAVEFIVE to save $5 off your first subscription box! The Products: Each Cozy Reader Club box will include 4-6 items including a recently released hardcover women’s fiction novel, artisan beverages such as coffee, tea or hot chocolate, beautiful handmade items and delicious gourmet handcrafted treats. Cozy Reader Club boxes will feature handcrafted, artisan goods from local small businesses throughout the USA. Ships to: US (for free) and worldwide (extra shipping costs apply). wow – great box!! 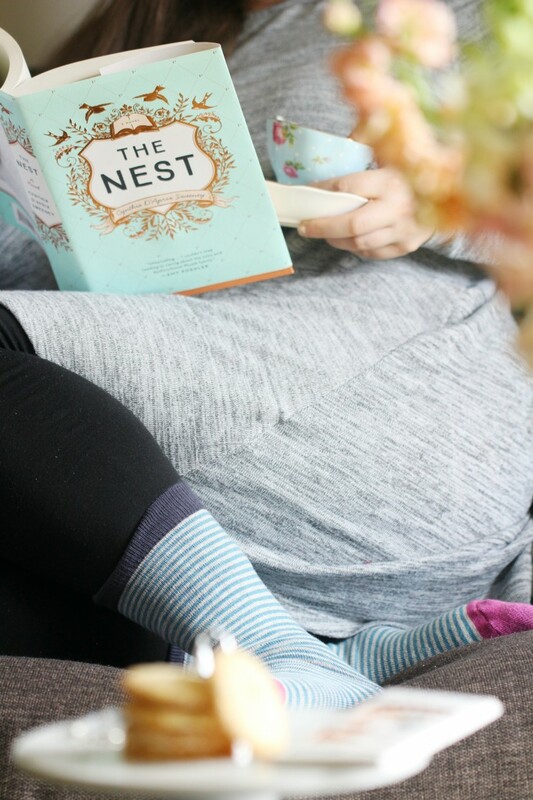 The Nest is such a great book!! This would be a wonderful gift for all the readers in my life! What a fun concept, with a book, a snack, tea and something cuddly! I love it! Look at all those goodies in there! What a fun subscription box. How fun is that! Plus you have no idea how badly I need some “me” time. Gotta look into this for sure!! Cozy Reader Club sounds like an amazing box! There’s nothing better than reading while you’re all cozies up. I need this! This is a great subscription box. I am always looking for new boxes to try. This one would make a great gift. That looks like an awesome box. This is the kind of box that I need. I really do love subscription boxes to. It’s always fun to see what you’re going to get. This box is so perfect for me! Thank you for introducing me to it! I’ve never heard of anything like the cozy reader club. This is such a wonderful idea complete with everything you need for a cozy and relaxing reading time! Now that is my kind of subscription box given the way I love to read. Jasmine tea is my favorite too. Enjoy your me time! This is great! I have seen many gift boxes that were cute. This is the first one I am actually leaving your website to go find and order for myself. 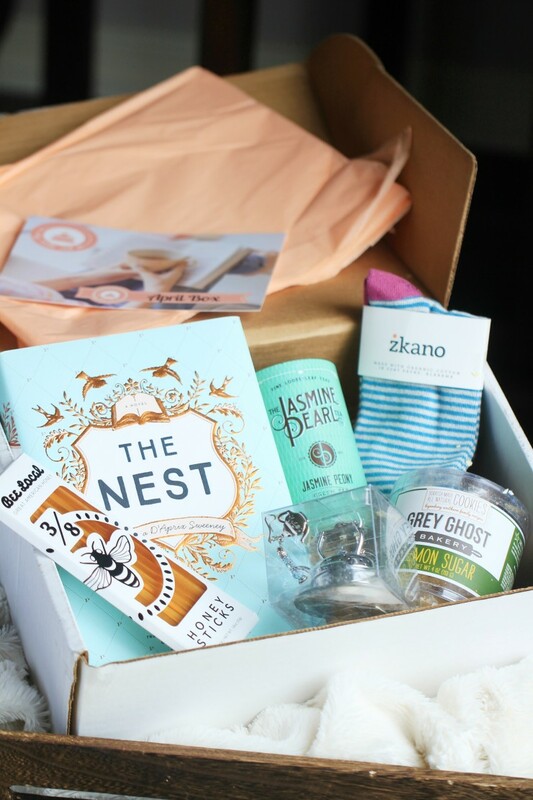 what an awesome box of goodies and i totally loveee a cozy pair of socks. Oh my word, sign me up! I love how sophisticated the box is! It screams total relaxation! I would love to have a subscription box like this! The price seems really affordable, too. This is an amazing box and would make a really nice gift! It is a bit pricey for me though. Oh my goodness! Cutest box. I could definitely use some me-time! I need it and this would be perfect. I do like this but it’s not for me, as I know exactly what I want to read and with this you spend a lot of money and it might not even be a book I’d like to read, so I’ll pass on this.